If you’ve ever attended Job interviews, it’s the anticipation after the interview that causes most trepidation. Most of us end up replaying the interview in our minds multiple times, constantly analyzing and discussing whether we did enough to nail it or not. 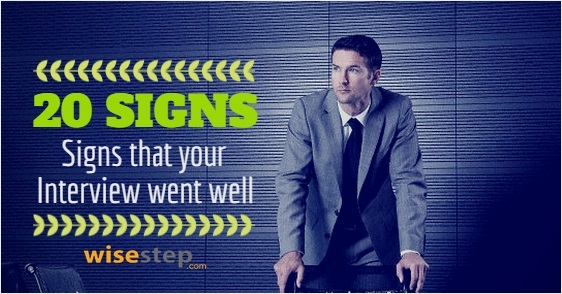 Here are 20 signs that will help you get a better understanding of whether you did well at your job interview. Job interviews are nerve wrecking be it for a fresher or even an experienced. No matter, which position you are attending, you never know how it may go. The job seeker would always have a anxiety, even after the interiew. According to a survey by Management Recruiters International, majority of candidates have to undergo three interviews or more to get the job offer. Most candidates wish to crack the first interview and get their dream job. Well that sounds good, but is not possible always. There could be many reasons for it, one of the main and vital reason would be lack of preparation. Being a fresher they might not know its importance. Moreover out of anxiety of attending an interview, they would lose focus on basic things. But its kind a good, as learning from their failures would help them become more stronger . Saying this doesn’t mean, every candidates fail in their first interview. There are few candidates who perform well in their first interview and get a job. Here are few indications that would help the interviewee to understand how their interview was. If the body language of the interviewer was generally positive, with lots of smiles and eye contact, then that’s a good sign. If the interviewer tried to make a personal connection while talking about your experience, your education or any other aspect of your life like a common friend or shared interest in sport or any other activity, that’s a positive sign. If you thought you didn’t answer something well or made a faux paux the moment you said it, but the demeanor of the interviewer never changed from happy, smiling all the time, then that’s a good sign. It means that some of these small indiscretions were overlooked and didn’t cause too much of a damage. If the interviewer uses forward thinking language or situations like “Once you are in the job” or “Once you join..” or “When you implement…” or “You will see for yourself..” that means she/he has already pictured you taking up responsibility for that role. This is a very strong but subtle indicator that you have made a favorable impression. No interviewer wants to spend more time interviewing than what is absolutely necessary. So if an interview is running over the planned duration by some margin (Greater than 15 minutes overrun) it works to your advantage. It’s always useful to ask the HR rep or the agency on how long you expect the interview to last before the interview, so that you can benchmark whether yours was longer than the average or not and by how much. If the interviewer asks for references during the interview that’s a surer sign that s/he has started thinking about next steps in the hiring process. If the interviewer asks for your notice period or your earliest start date, that’s another indicator that things might be working favorably for you. Many companies ask this as a part of the standard evaluation process so this is an indicator that doesn’t work all the time, but it adds up. If you get asked about your other interviews in process it means the interviewer might be thinking about whether s/he needs to move quickly or not to make a decision in your case. One of the surest signs that can be is, if you get asked on How your boss would feel if you told him/her that you were quitting. This is a very strong indicator to check if your company would make a counter offer or make your exit process difficult in general. There are many interviewers who love to hear their own voices, but barring those, if you feel that, in general the interviewer spent more time talking than you did, then the engagement level was high, and there could be something building in your favor. Caveat: this sign needs to go with good body language of the interviewer. At the end of the interview, if the interviewer makes effort to answer your questions in more details than necessary then something caught his/her attention. 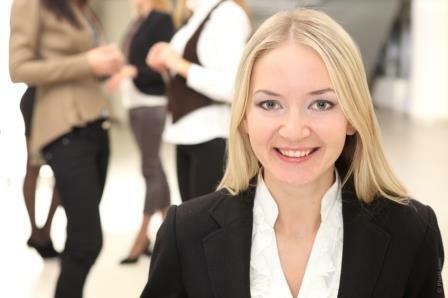 This observation is also related to tone and demeanor exhibited by the interviewer. If she/he spends considerable time to patiently answer in great detail with a friendly demeanor, you should count that as a plus in your favor. If the interviewer gives you his/her visiting card or their email address so that you can contact them in case you need any information that’s a really good sign. Most often, interviewers just ask to get in touch with the HR team if they are usually not sure about the candidate. Other interviewers however want to make sure that they continuously engage with the candidate they like and therefore share contact details, asking the candidate to contact them directly if they have any questions about the job. If the interviewer clearly specified the next steps like, “I want you to meet our VP of engineering” or “We’d like to arrange your call with..” that’s a tactical win specially if there are multiple rounds of interviews. 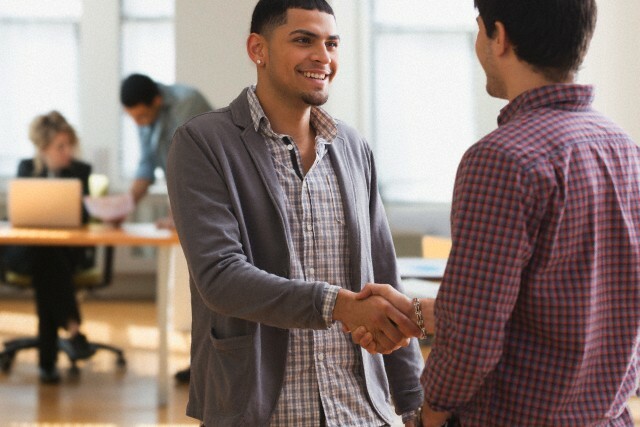 If the interviewer introduced you to their other team members that’s a good sign. However, do watch if the introduction was more accidental because you and the interviewer ran into them in a meeting room or more deliberate as the interviewer told you specifically that he/she was taking you to introduce you to the team. This is probably the strongest signs if you are able to discern that the interviewer is trying to sell the company to you for an extended time during the interview. Once your interview is done and you are waiting for an update, try making a call to the HR rep or recruiter and see how promptly they reply to your email or return your calls. If they are courteous and promptly call back that’s a good indicator. If they stop answering any email or phone call from you, chances are you haven’t made it. If you get asked for documents that provide details of your employment and your compensation then the interviewer has already moved towards figuring out what kinds of compensation to offer. This is usually a rare occurrence, but in some cases the interviewer is the final decision maker and has decided that they want to extend an offer and will tell you in so many words. Bear in mind that none of these are definitive in nature but if you put most of them together and add the ones in your favor, you tend to get a very good idea if you did well or not. So go ahead and enjoy the experience. Leave your comments here and I will answer them at the earliest.